Access to health care remains one of the biggest challenges facing South Africa’s public sector. Sizwe Nzima is working on changing that. By delivering chronic medication door to door, he’s improving the lives of thousands of people. The Khayelitsha clinic was filled with people waiting to collect their chronic medication. Among those waiting were the elderly, the sick, women with their children – and Sizwe Nzima. He was collecting his grandparents’ medication, a task he gladly carried out for them. He knew how tedious the collection process could be. Glancing around the full waiting room, the young business student was struck by an idea – he could offer to collect chronic medication for those waiting with him, and deliver it straight to their doorsteps. They would no longer have to queue for long hours and walk long distances every month. All they needed to do was pay his small fee of R10. His mother lived in Johannesburg, so he was raised by his grandparents. They took care of him, and made sure he went to school. At the time, his grandmother worked for a doctor who lived in Camps Bay. What Sizwe didn’t realise then was that he was receiving far more than an education. He was being equipped with life skills that would serve him well when he came to starting his own business. Every year, he participated in athletics, an individual sport that forced him to become self-motivated. Sizwe wanted to pursue a legal career after school. Instead, he was swept up by the idea of becoming a businessman. His initial application to the Raymond Ackerman Academy was rejected, but that didn’t deter him in the least. His grandparents had always raised him to aspire to more, so giving up was never an option. “My grandmother always used to say to me, ‘You’re probably going to be the first multi-millionaire in the family.’’’ These words continue to motivate him. He applied again, and was eventually accepted into the academy. To fund his studies, he would sell snacks to students at the UCT Graduate School of Business. Slowly Sizwe built the trust of the community. While he waited to collect the medication for his first clients, he explained to others in the waiting room the service he was providing. In this way, he didn’t need to spend money on marketing; instead, he relied on word-of-mouth to get new clients. At the Academy in 2013, he was named Best Entrepreneurial Student. 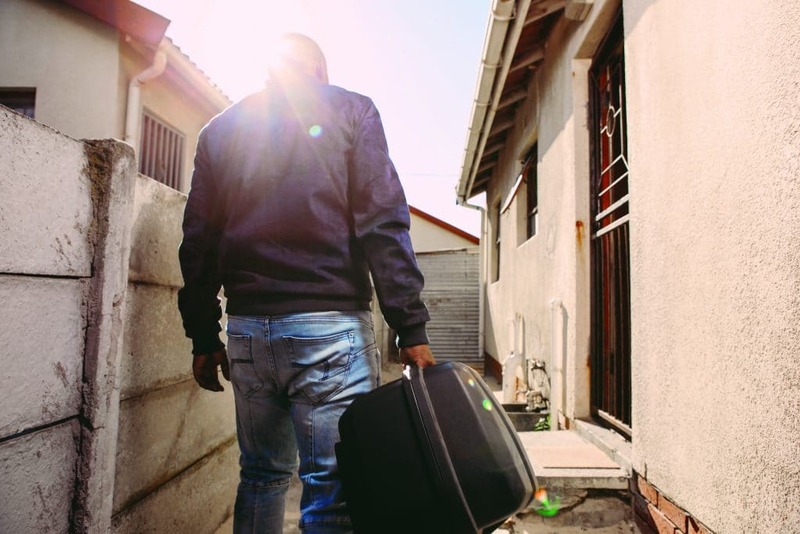 The award came with R10 000 – his first funding. Finally he was able to purchase a bicycle of his own, a day he had been looking forward to since his cousin first taught him how to ride. He was also able to register his business and buy a laptop. This funding changed the game for Sizwe. 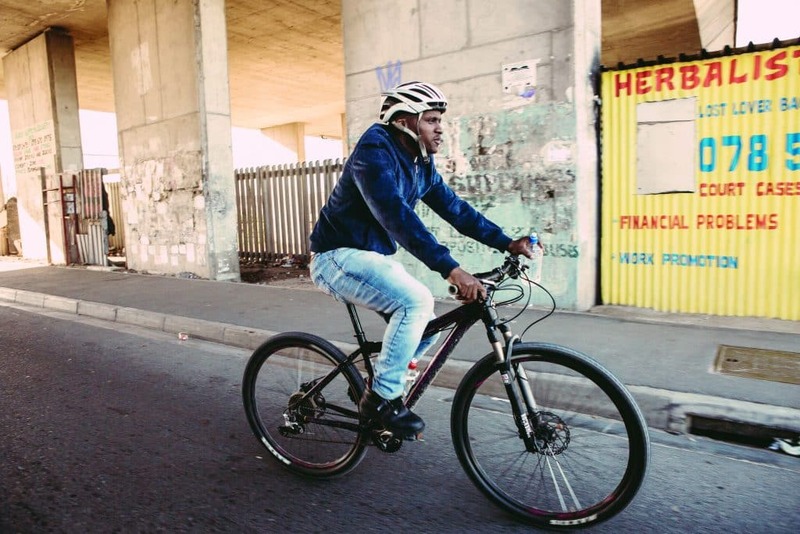 He no longer needed to deliver medication on foot – instead, he could transport it by bike. His two new wheels took him further than walking ever could. But delivering medication wasn’t simple. The clinics had trouble with him delivering medication for others, because he wasn’t certified as a medical courier. Taking advantage of the gap in the market, they positioned themselves as the township courier business that focuses on hard-to-reach places and low-income areas. 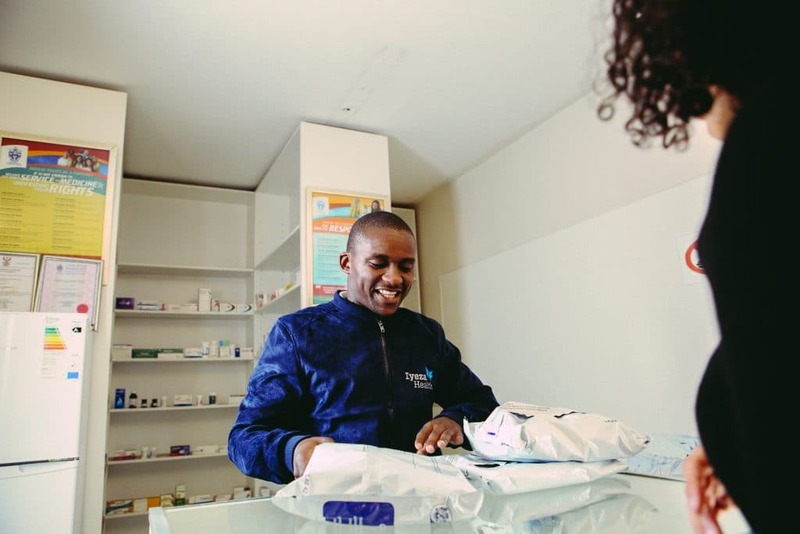 Today, Sizwe has come a long way from delivering medication to just 10 patients: now Iyeza Express delivers to over 1 000 people around Khayelitsha. With the expansion of his business, Sizwe was able to employ four more people to make deliveries. From the courier business, Sizwe and Siraaj grew Iyeza Health – a specialist health logistics company. Along with delivering chronic medication, they also deliver self-testing HIV kits – for individuals and couples who wanted to be tested in the privacy of their own homes. Sizwe is currently training an additional five guys for a new contract that he has taken on. “I have partnered with a company that’s responsible for getting the medication to the clinics and packaging it. So we are the distri-bution partner – we deliver from the distribution centre to the clinic.” Clinics from Langa to Strand will receive their medication from Sizwe and his team. For those deliveries, two trucks and two one-ton bakkies were bought. Sizwe is also in the process of digitising his business. He’s launching an app that will map out the areas he delivers to. “It’ll show where my riders are and where they’re going; we’ll be able to ping their location using geo-coordinates,” he explains. The idea of social entrepreneurship is quite new in Sizwe’s community. “You’re either an NGO, or a full-profit business. While I am a full-profit business, I have a social impact that is aligned with the profits we make,” he explains. His business is based on alleviating a problem that exists in the community. But Sizwe is ambitious. He’s worked hard to get where he is now, and has a clear vision for the future of the business. “When people see my business, they only see medical logistics, on bikes. They think that my business is small. But I don’t see my business as small,” he says. While the business he is running now is still not the business Sizwe envisioned four years ago, he knows the steps he has to take for his vision to come to life.